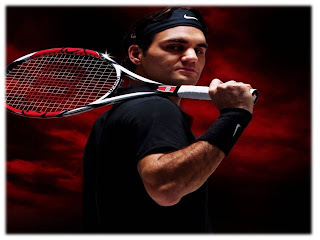 Kneale Mann | Leadership: Are You Roger Federer? Roger Federer is the real deal. He is a solid dude. Happily married to the lovely Mirka Vavrinec with twin girls Charlene and Myla. In 2003, he started his own charitable foundation to help disadvantaged children, has done work with UNICEF and organized a charity initiative with other top players entitled Hit for Haiti. His work ethic is resolute and until some injuries in the last couple of years, his winning streak was not of this world. He was consistently winning or at the very least in the semis or finals of virtually every tournament. Fed was the world’s dominant number one tennis player and it seemed he could stay there for as long as he wanted. He has slipped to number three but clearly won’t settle for that. Go Rafa! Roger Federer has won 62 titles including 16 grand slam singles and 8 grand slam doubles championships. His lifetime professional match winning record is 701-168 and let’s lob in a gold medal from the Beijing Olympics. The man is not just a professional tennis player; he is an elite athlete and will forever be on the best of all time list. But until recently, he was alone in one curious category. Throughout his career, he has gone long stretches without a full-time coach. Fed has agents and trainers and lawyers and other staff but often not a coach. Who at this level doesn’t have a coach? What individual or team member, playing at the peak of performance in the highest level of sport, does not have another pair of eyes on them? Just imagine the Stanley Cup Champion Chicago Blackhawks winning this past spring without Joel Quenneville behind the bench. The only elite athlete on the planet, who didn’t have a coach, now has one, for now. Paul Annacone was Pete Sampras’ long time coach and also coached Tim Henman who made it to number four. As a pro, Annacone made it as high as number twelve in singles’ rankings. After his playing career he was the managing director of the USTA then the head coach of the Lawn Tennis Association and the British Davis Cup Team. Federer has asked Annacone to work with him on a trial basis. An accomplished coach has the biggest challenge of his career and the best tennis player in history is now paying someone to tell him how to improve his game and get back to number one. Have a look at your career. Who is your coach?